Chris Bedwell is an Ontario Certified Teacher, Qualified and Registered Teacher with the New South Wales Department of Education and Communities, Australia. 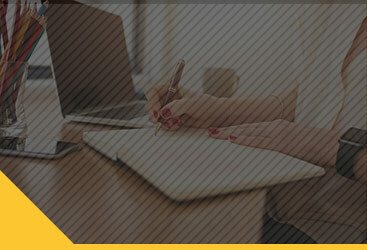 Education includes a Bachelor of Business & Bachelor of Teaching, Masters of Distance Ed. (i.p.) while also achieving the Ontario Constable Selection System Certificate of Results. I am also an active participant with many PAC advisory committees and Police Foundations Advisory Board(s) for private and public College’s to share insight into curriculum design for both Police Foundations and PreService Fire programs. I have also been a Police Foundations Instructor at several Ontario Colleges; passionately sharing my experience and expertise in recruitment preparation. I am also a current Volunteer Firefighter, a past member of the Georgian Bay Volunteer Search and Rescue Team and has completed many Technical Rescue, Survival and First Aid Qualifications. View Chris Bedwell’s profile on LinkedIn. 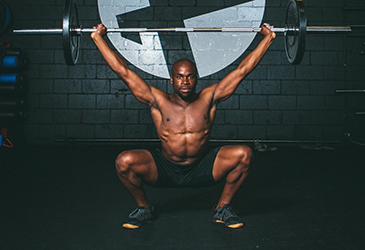 Leaving the corporate world to pursue wellness through CrossFit Terrence has become an integral part of major CrossFit competition events over the past 5 years. Terrence’s involvement in competitive CrossFit sport has taken him international, managing athletes at CrossFit Regional competitions (USA, Canada), CrossFit Invitational (host country: Canada), CrossFit Games (USA), Wodapalooza Fitness Festival (Miami, Florida), Rouge Invitational (Columbus, Ohio) and UG Series (Collingwood, Ontario). Now a career Coach, Terrence has instructed athletes from post-partum new Moms to competitive athletes through CrossFit. His coaching style reveals his broad expertise in movement technique, passion for excellence in sport performance and post secondary education in basic science. To bring about the best in his athletes, Terrence brings his decade long career experience working professionally in Social and Human Services to connect with athletes in cognitive preparation for achieving success in their fitness goals. Through Test Ready Pro Terrence now brings you closer to your professional goals by connecting you to CrossFit training that will ensure you are ready to excel at the physical examination and continue to build your fitness over the lifespan of your first responder career. Marty is joining the team to review the medical sections of our tests, and is available for individual consultations or questions. He has a B. Comm from York University, B.Ed. in Adult Education from Brock University and completed his nursing diploma from Humber College and then upgraded to a B.N. from Athabasca University. He has spent his career in Emergency, with brief interludes into transport/flight nursing with Skyservice Lifeguard and Ontario Patient Transfer. 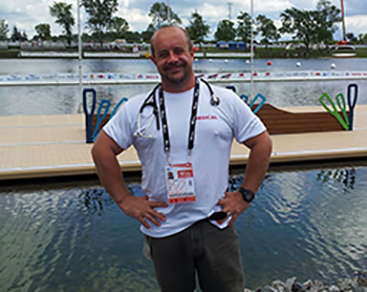 He spends his free time volunteering with medical teams at sporting events such as the World Under 23 Canoeing Championships in Welland Ontario (Pictured), the internationally renowned Royal Henley Rowing Regatta in St. Catharines and most recently the World Water Polo Championships. PRO-TEC5 provides expertise in Police Foundations, Close Protection, Self-Defense, Security and Private Investigative education, training and certification. 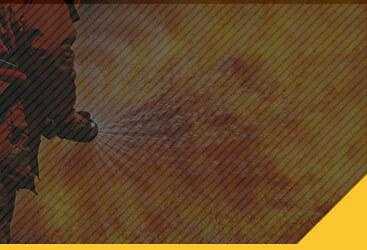 PRO-TEC5 has experience in serving in the CF in both basic training and leadership courses. Chief Instructor has received certifications in arctic, desert, mountain, jungle survival to name a few. Daniel has instructed Close Quarter Combat courses and various non-tactical and tactical shooting to name a few while serving in The Canadian Airborne Regiment, 1st & 2nd Battalion of The Royal Canadian Regiment and the Canadian Forces Recruit School in both French and English . Daniel has taught various course / workshops to the Ontario Tactical Advisory Body, Atomic Energy of Canada Limited, Royal Military College of Canada and Algonquin College to name a few. Currently he is the Coordinator / Professor for the Police Foundation Program at the Ontario College level, he teaches use of force, fitness, ethics, conflict management, police powers to name a few.